As you would expect, aspiring to deliver the highest quality training and continuously improve, we take student feedback on our training courses very seriously. "Thanks, I learned so much in one day!" "Really good course and was well taught. Had a good day and left with an even tan!" "The facilities are bright and professional and felt safe"
"I really enjoyed the course and Carol's knowldege of the subject"
"Carol's training is always to a high standard. 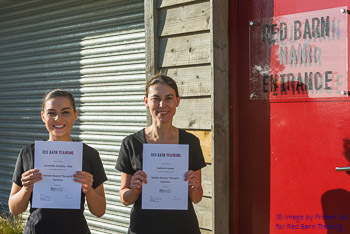 Will recommend Red Barn to others, thank you"
"The trainer knowledge was impressive"
"Carol was patient and professional"
"The small class size was non-intimidating and friendly"
"A relaxed evening. Very knoweldgeable with good tips"
"Thanks so much Carol for the great training and support!" © All Right Reserved Red Barn Training Ltd.